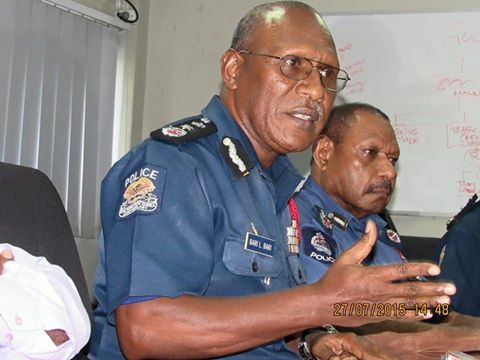 Opposition Leader Don Pomb Polye has saluted the Police Commission Gary Baki for cracking down on police brutality, especially in the ‘condom saga’. Mr Polye said he was initially annoyed by the ‘rogue behavior’ but with Mr Baki, making its investigation his ‘personal business’ is something everyone should commend him for. He also thanked the top brass for taking disciplinary actions against those responsible for other brutalities in the country. “As the alternative government, we would like to see more of such attitude in other brutalities which have been stalled. “Let me also thank the commissioner and his team in the Hanuabada shooting, which saw the identification of those involved surfaced in the investigation,” said an elated Polye. He, however, said the alternative government believed there was more that the commissioner needed to do to blot out the bad reputation the police has with the people. With this task for the force in mind, he has called on the commissioner to devise similar drive and effort in the other cases of national interests without fear or favor in the New Year. “With him coming under the public scrutiny for prolonged-court battles between the factions within the constabulary, in doing what has been urged to would restore public confidence and independence in the force as a constitutional office,” he said. Meanwhile, Mr Polye said despite this festive season recorded minor traffic-related deaths and accidents, generally it was peaceful. He also hailed the commissioner and his top brass in the force nationwide for ensuring such a peaceful Christmas. Polye added that policing was everyone’s responsibility for a peaceful, safe and secure society and that he also urged his fellow citizens to maintain that peaceful festive season into the New Year and beyond.